September 2 – In the joint russian-mongolian military exercises “Selenga-2016” involved unmanned aerial vehicles (UAV) for various purposes. In particular, crews of the UAV “Granat-1” during the active phase of the maneuvers will carry out the search and discovery of conditional illegal armed formations and deliver location data of the IAF for the joint staff of the exercise. Electronic warfare co…mplex “Leer-3” with the special equipment will carry out the suppression of radio channels of conventional terrorists. The international exercise “Selenga-2016” started on August 29 at the Eastern MD range Burduny. It involves a tank battalion, a motorized rife company, mortar, self-propelled howitzer and reactive artillery batteries, air defence, reconnaissance and NBC units of the Eastern MD Combined Arms Army located in the Republic of Buryatia. The Armed Forces of Mongolia will be represented by motorized rifle companies equipped with IFVs and APCs, a tank platoon, as well as by mortar and reactive artillery batteries. 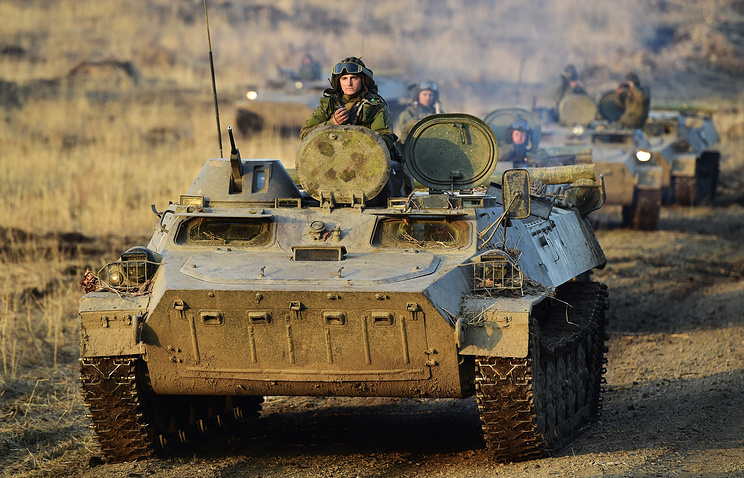 In total, the maneuvers involve up to 1000 servicemen and up to 200 pieces of military hardware.